Sunday March 28th: Sunday School & Sunday Dinner for the devoted! There is a lot to celebrate in this the birthday month of Toni Cade Bambara and the rebirth of SPRING in our hearts! Hooray!!!!! So mark your calendars..download the reading and get ready to have your spirit lifted and transformed. 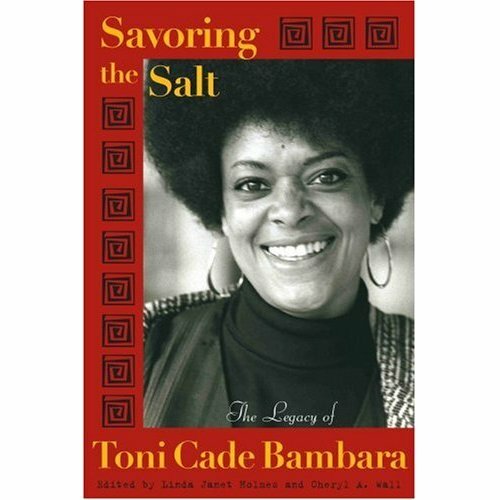 First at 10 am on Sunday Morning (Location TBA) (March 28th we’ll be celebrating the afterglow of writer, organizer, film-maker, teacher, mother, visionary Toni Cade Bambara’s 71st Birthday with a spirited discussion of her classic essay “On the Issue of Roles” from her classic anthology The Black Woman! Possibly maybe possibly in a very maybe way featuring the insight of Kai Barrow…one of Toni Cade’s cherished mentees! AND THEN!!!!! Because you just can’t get enough…. stay saved with Sunday Dinner at your monthly Eternal Summer of the Black Feminist Mind with a discussion of asha bandele’s work on love and the Prison Industrial Complex with special insight and goodness from Vikki Law…author of Resistance Behind Bars an awesome book about women in prison who are organizing for their own liberation!!! This promises to be an amazing discussion! and come to the Inspiration Station at 5pm on Sunday March 28th with food and insight to share!!!!!! !